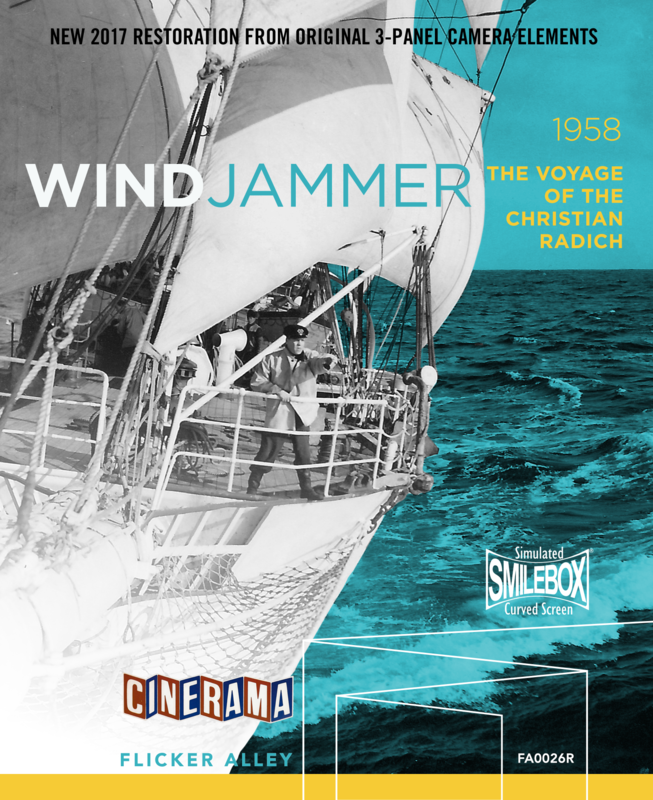 In celebration of This is Cinerama and Windjammer being re-released, Flicker Alley invites you through a brief tour of Cinerama’s history. 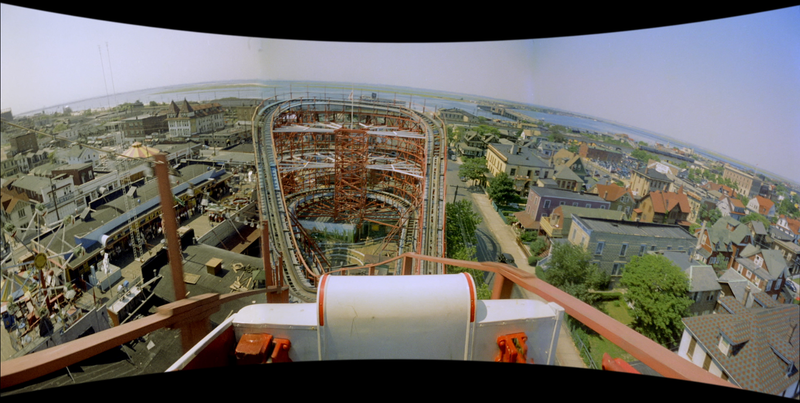 “Cinerama was an ultra-widescreen process…where the screen ideally curved around to cover the viewer’s peripheral vision and give them a totally immersive visual experience…In order to achieve that width, three cameras with 27mm lenses were used in production, and three interlocking projectors threw the image on the screen.” (Jan-Christopher Horak). 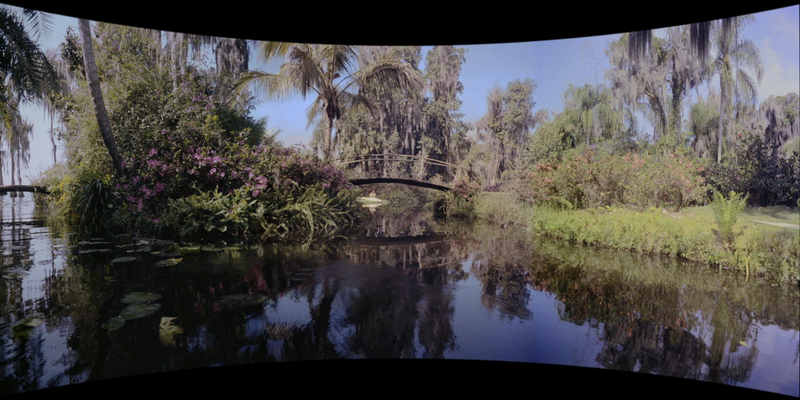 As stated above, Cinerama was a groundbreaking immersive experience. 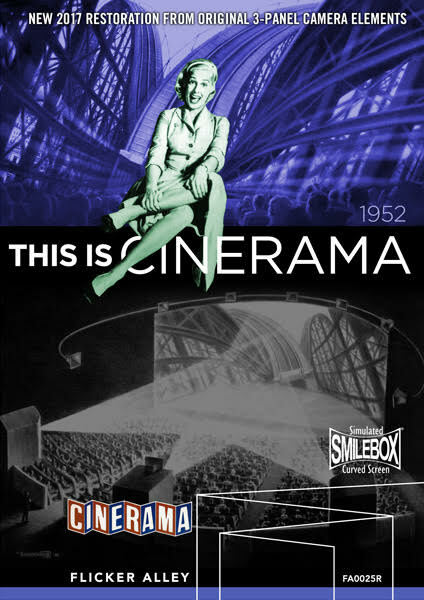 The Cinerama “technique” actually began at the 1939 World’s Fair when a cameraman by the name of Fred Waller presented ‘Vitarama,’ a camera process with eleven projectors. After tinkering with it during WWII, Waller refined the system and used it as a Gunnery Trainer; American soldiers trained with its 3-D simulations in their cockpits. Waller was credited with saving thousands of flyers lives in WWII. 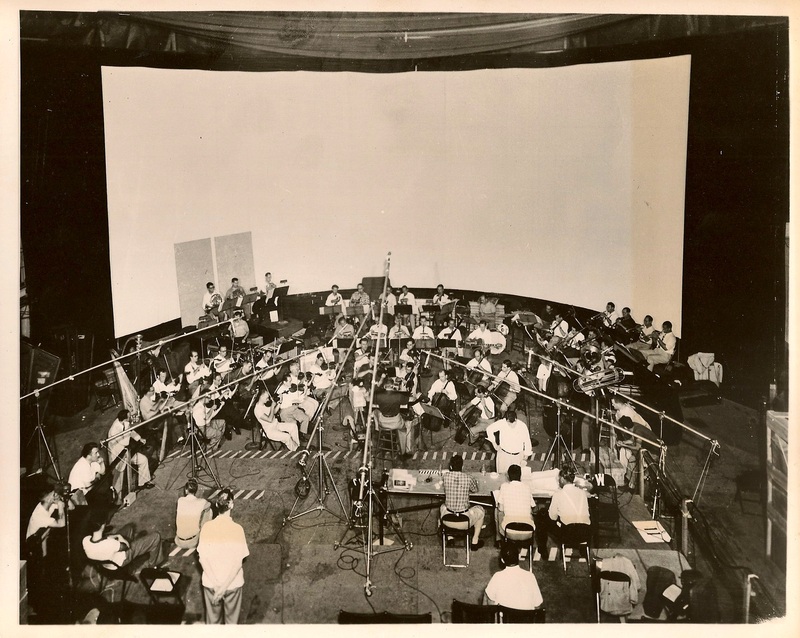 Cinerama’s sound techniques were also unusual. The sound recording specialist, Hazard Reeves, was able to construct a multi-channel system that went with the screen dimensions. His system had seven channels of sound. Cinerama, which required carefully placed cameras, synchronized projectors, and detailed set-ups in specially built theaters, was not cheap. Lead investors in Cinerama, Lowell Thomas and Michael Todd, launched the new presentation format. Lowell Thomas dramatized its opening by starting out with an ordinary formatted prologue and then suddenly announcing, “Ladies and Gentleman, This Is Cinerama!” Curtains would open and the audience would be enveloped in a wide-screen roller coaster ride. The production costs took their toll and in the early 1970s, the Cinerama productions ended. After this, certain Cinerama fans chose to make their own Cinerama theaters at home in order to watch these masterpieces the way they were meant to be seen. 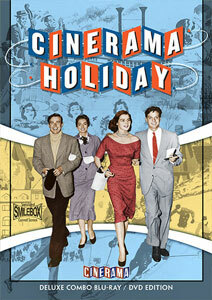 In case you’re interested, here are articles on Cinerama’s beginnings.